What is the utmost important thing you can do prior to a job interview? One might think it is polishing up your resume. Others may claim that practicing your responses to questions is key to landing a job. The answer, however, isn’t as obvious as you might think. While there are many things that you can, and should, do before interviewing for a job, many potential employees often forget one important detail in their preparation. Unexpectedly, one of the most important pre-interview preparations is something much different: running a background check on yourself. Waiting to see what your background investigation uncovers could potentially make or break killing your interview and completely missing the opportunity for employment. Several misconceptions typically surround background investigations. A common belief being that background checks only pull up and regard criminal, federal, and state records. However, there is much more involved in completed background investigation. 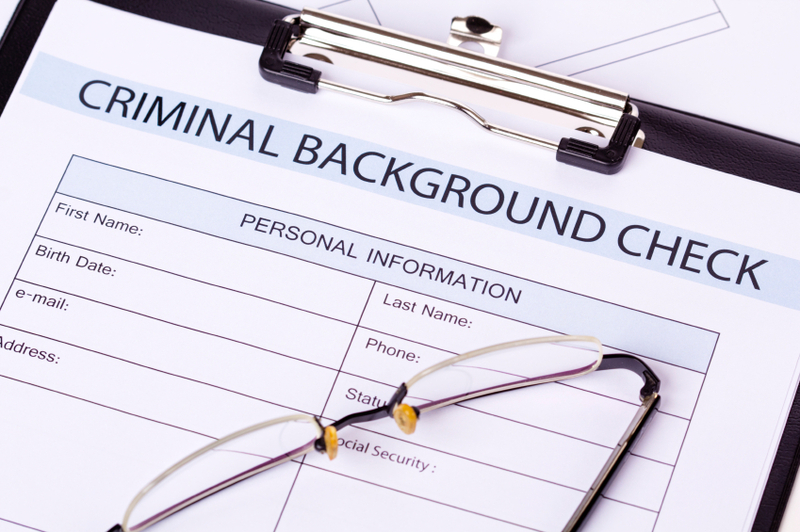 By learning what exactly a background check entails, you can better prepare to ensure you have a clean record and know what is out there before you sit down with potential employers. For the most part, pre-employment background investigations are becoming more and more common for employers, even if you have not been officially hired yet. Going into an interview, you should expect that the your potential employer has looked into your background, or at a minimum, scanned the web to pick up any nefarious content you may have posted. While it is important to prepare for typical interview questions, you should also be prepared to answer any questions that may come from the results of a background investigation. If there are any bad records that appear on your screening, you want to go into your interview with a preconceived notion of what your employer might already know about you. Background investigations and screenings are not always 100% accurate. For instance, somewhere along the line an officer or other law official may have accidently cataloged a conviction, and you may be the unlucky one to have that conviction on your record. IF you’ve ever been hacked, you could have some embarrassing and even illegal content that has been sourced through your email or posted on your social media. Regardless if you weren’t the one to post it or send it, a background investigation cannot detect the difference. If you have a common name, the possibilty of an investigator pulling up the wrong records also poses a threat to your seemingly clean record. While you may believe that your records and your online presence are as clean as possible, there is still a chance that there may be some information that you didn’t know about it that could turn up. This is a threat that affects everyone, which is why running a background investigation on yourself, or paying someone else to do so, is so important before entering a job interview. Incorrect background screenings may uncover problematic information that your employer knows about before you even step into the room. By getting a background investigation done on yourself, you are given the opportunity to know what your record looks like and prepare to clear up any misconceptions about your records. Sure, you may have gotten a speeding ticket that one time, but that shouldn’t cost you the job, right? The majority of people have a preconceived notion of what a background investigation actually is and how they work. For the most part, many believe that these screenings only pull up your official records, such as criminal and credit history. While background investigations do pull up all available official records through Federal and State repositories, most background investigations delve much deeper than just what is on record. Especially with the increase in social media use, most background screenings will unveil all of your online social profiles to track your behavior outside of work. This can range anywhere from your Twitter profile to your wedding registry. It is important to keep all nefarious activity offline if you do not want your employer to see those photos of you shirtless in Cancun last Spring break. If employers choose to refrain from hiring you based on information found because of your background screening, it is required and policy that they notify you of the reason. However, they are also required to present you with a copy of the background investigation ad information that deterred them, giving you the right to refute any faulty information that may have deterred them from hiring you. While this is only fair, chances are by the time you have disreputed any negligent information, the opening that you were trying to get will most likely be filled regardless of whether or not your background investigation was correct. This poses yet another reason to perform a pre-employment background check on yourself. From the get-go, you can disrepute any false information that you are certain will appear on your screening, thus giving you the initial opportunity to communicate to your interviewer the problem. Right now, the market for employment is incredibly competitive. In order to land a spot or even get an interview, you must fit the full requirements for the most part. Every piece of work experience, every interview response, every reference — it all counts, and can make or break your chance at getting a position. By running an initial background investigation on yourself and clearing up any issues to your employer, you are getting a head start by preparing for your interview in a way that hasn’t crossed many of your competitors minds. Even if your background check does come up clean, you’re getting a leg up on those you are competing against for employment, and showing even more initiative than most interviewees have. Perhaps the most important part of running an initial background investigation on yourself prior to an interview is the fact that you have a justification for any nefarious activity that appears on your activity. By knowing what will appear on your record, you are gaining control of the situation and will not be taken aback when your interviewers brings up your poor driving record. By expecting the worst, you allow yourself to prepare for inquiries regarding questionable information. By not running a background investigation on yourself, or having a professional do it for you, you leave certain elements to the understanding and discretion of a hiring manager who can only see records, not the reasoning behind them. With the job market as competitive as it is, you need to control every variable that you can in order to land a dream job, and a self-background-check can make you the master of several variables. By knowing what others know about you, you can regain control of the situation and ultimately steer your interview in way that benefits your chance of employment, not hurts it. If you have any questions, or would like to schedule a free consultation with one of our investigators, please feel free to contact us at info@strikerpierce.com or at (571)-451-4833. Because it’s better to be safe than to be sorry. Check out our other articles on Background Checks!